Having been an Amazon Prime customer for quite some time, I am used to free shipping on most of what I order online, and find myself a bit annoyed when I order something where shipping is not free. However, I also am very aware of what it costs a business to ship orders, both in postage and in handling, so I understand that these costs are real. Large businesses like Amazon often make up for free shipping by charging more for the item; while it looks like a good deal, the customer is paying for some of it in higher prices. Large shippers also have the benefit of being able to ship multiple orders to the same customer in a single box, so the cost of free shipping is spread out among the profit margin on many orders. And often times, free shipping lures customers to buy more, so they can spread the cost of free shipping among the profit margin for the additional items they sell. On the other hand, consider small businesses. We occasionally get a comment from a customer complaining about our high shipping costs; for example, $4.25 in shipping on an order for a part that costs $2.99. The bottom line is that for a business like ours, shipping an order for our cheapest part is the least economically viable thing we do. It costs a certain amount for us to have an order of any size shipped; this is something we pay our fulfillment center and it doesn’t matter to them whether pick a single $2.99 item for an order or 5 items that cost $9.99; in each case, we pay the same handling fee. As you can see, with very small orders, the cost of postage is extremely high no matter how you measure it. As you might also guess, there is no feasible way for us to offer free shipping on small orders (and most of our orders are for a single item); we would lose money on every order. At a certain order size, we are able to offer free shipping, and we do. For us, this makes sense economically, right around $30, above which we offer free shipping. So, when you consider our shipping costs, try to see the economics from our point of view. Or, order our parts from Amazon.com and take advantage free Amazon prime shipping. We sell almost all of our parts there too, and when we do, we also benefit from Amazon’s economies of scale. Or, consider what other parts you might need and order more than one part at a time. 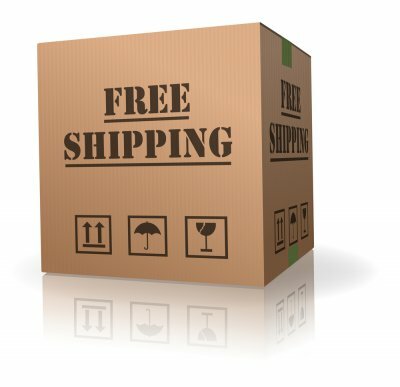 Shipping on additional parts you order will be much less relative to the overall shipping cost for the order (or free if you order more than $30 of parts).